substrate. This procedure is possible because of the hapteron, a small "weight" attached to the funiculus. 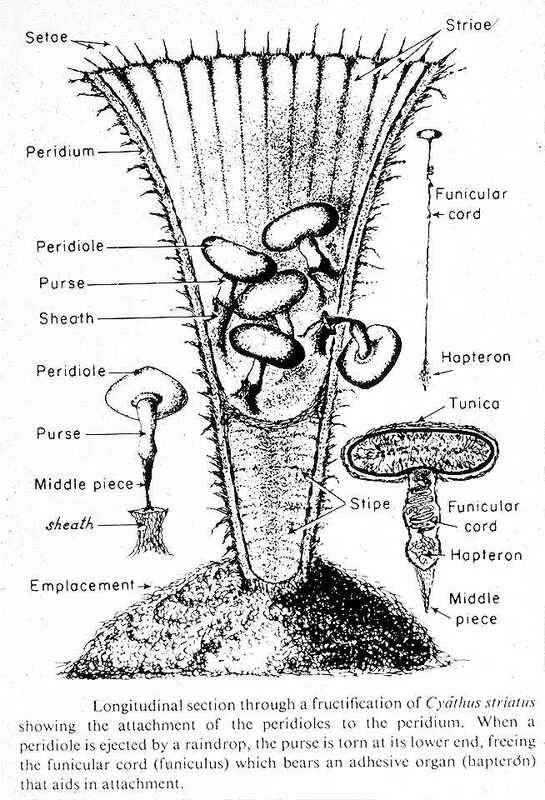 When the whole process is complete, the peridiole will be attached to a brand new substrate in which it can invade. Once the fruiting body develops it will be attached to its woody substrate by a brown pad of mycelium (Volk, March 12, 2007). As far as reproduction, Cyathus striatus require the assistance of raindrops to splash the peridioles to new areas for fruiting bodies to develop. Otherwise, the fungi does not require any special conditions to reproduce. However, an interesting fact about all fungi is they lack an embryonic stage and develop directly from spores. Also, cilia and flagella are never found in any stage of fungal life cycles (Volk, March 12, 2007). 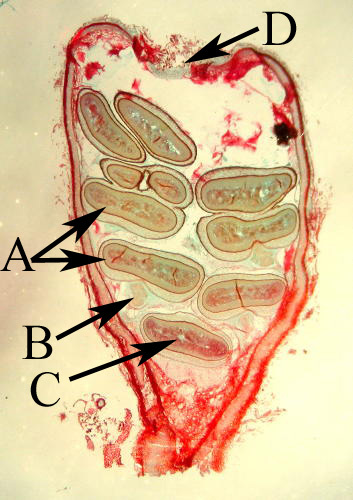 D= Epiphragm Diagram of a cross section of a splash cup of Cyathus striatus compliments of Tom Volk.